It's not every day you see a fully loaded half-pipe with a group of good-looking skater boys whizzing around outside of a luxury department store in Beverly Hills in the midst of Rolls Royces and Aston Martins in the parking lot... until this past weekend, that is. 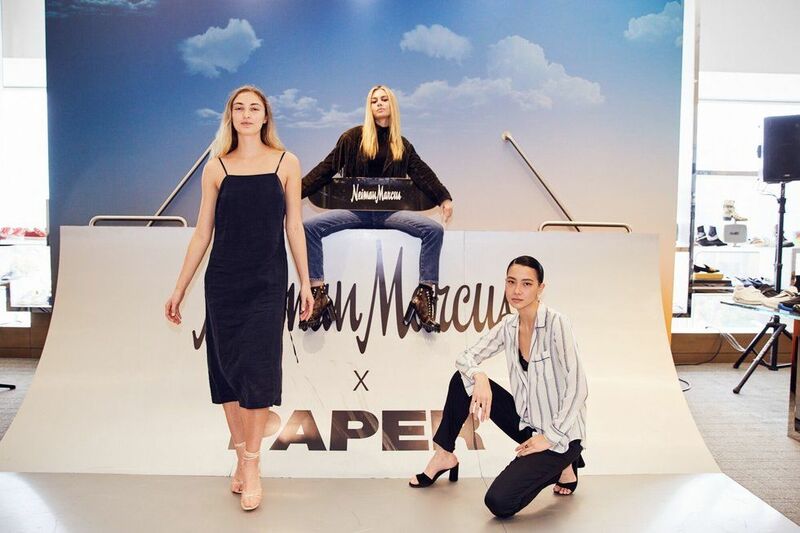 Neiman Marcus and PAPER shook things up in Los Angeles this past Saturday in celebration of the brand's mens' spring campaign, inspired by skate culture, with a big event in their Beverly Hills store. Guests and shoppers were greeted by a live skate demo on a custom-built half-pipe outside and welcomed in for a buzzy afternoon of shopping, good food and even better drinks. Campaign faces in attendance included some of skate boarding's coolest young professional athletes like Boo Johnson, Olan Prenatt, and Ben Nordberg. They were joined by other hip Angelenos who came to hang out like Ashlee Simpson, Evan Ross, and model Salem Mitchell and more. What's KJ Apa Listening To?